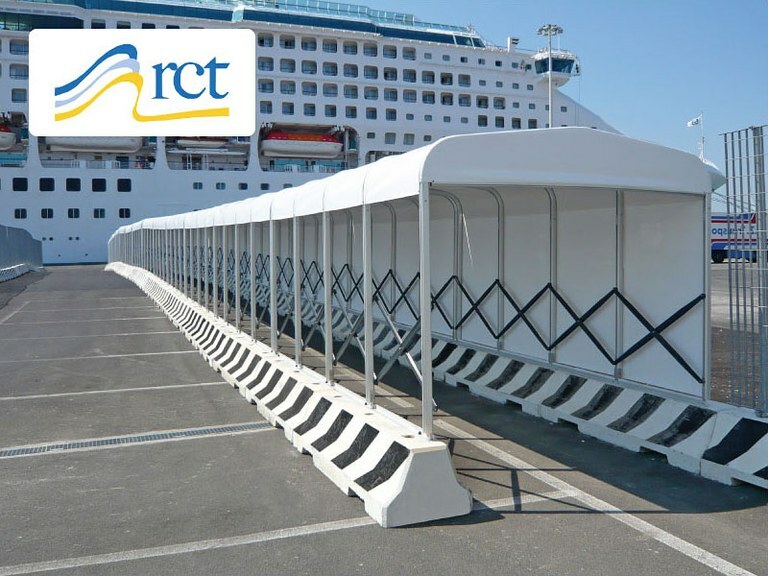 Rome Cruise Terminal commissioned us a very special tailored structure to be installed at the Port of Civitavecchia. 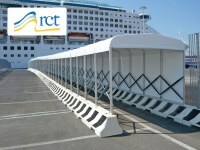 It is a covered pedestrian crossing that takes passengers to the port, once landed. The client requested using Jersey barriers as anchor cover bases that needed to be modular and consisting in materials resistant against the corrosive action of salt. 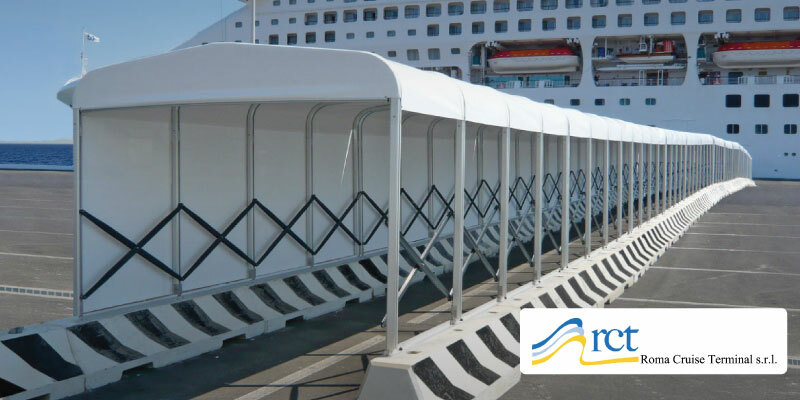 Our team developed a professional solution using the extendable tunnel structure model Ready Box 1 Extra to realize 56 metres of covered walkway overlooking the sea, closed laterally to avoid dispersion of passengers in industrial areas, thus avoiding any danger conditions. The materials used perfectly match the customer needs as aluminium and stainless steel hardware do not require maintenance. The PVC sheet was customized with the company logo at the top of the roof, well visible from the higher floors of the ships docked at the port.